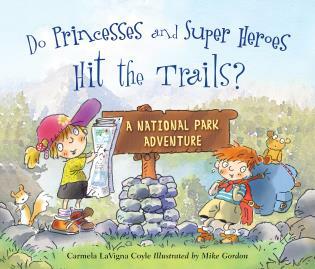 Deftly written by Carmela Coyle and colorfully illustrated by Mike Gordon, 'Do Princesses and Super Heroes Hit the Trails?' is another entertaining inspiring picture book for children ages 3 to 7 in the Muddy Books 'Do Princesses...?' series! Children will once again join their favorite princess and her super hero companion as this time they explore the national parks and discover that the Great Outdoors hold a bounty of excitement and adventure! Delightful, fun and informative throughout, "Do Princesses and Super Heroes Hit the Trails?" is especially recommended for family, preschool, elementary school, and community library picture book collections.